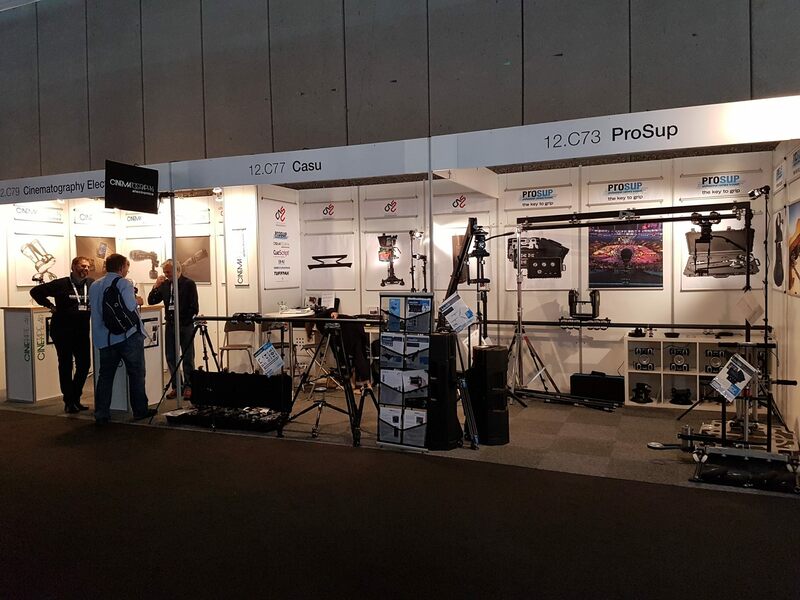 Visit the Casu/Prosup Booth at Cinec 2019 from the 21st till the 23rd of September 2019 at the MOC Events Centre in Munich. At CINEC your will find us with the latest camera support systems such as our new TED – our motorised camera slider. But also our camera dolly, jib crane and other products will be displayed. The cinec with its accompanying cineCongress and the cinecAwards is an international high-level trade fair for experts, where producers, distributors and service providers in the film-making industry present their latest developments to professionals in the film, TV and video business. Hands on and face-to-face communication give way to network, to discuss, to do business and get unique insights in technical achievements, impacts of new market structures, new distribution systems, new competitors from emerging markets and last but not least in today’s expectations and demands of the audience. All information can be found on the CINEC website. Exhibits Camera, camera support, optics, lenses, sound, lighting, animation and visual effects, VR, MR, AR and 360° technologies, post production, data storage and security, production services, latest research results and a variety of new developments.